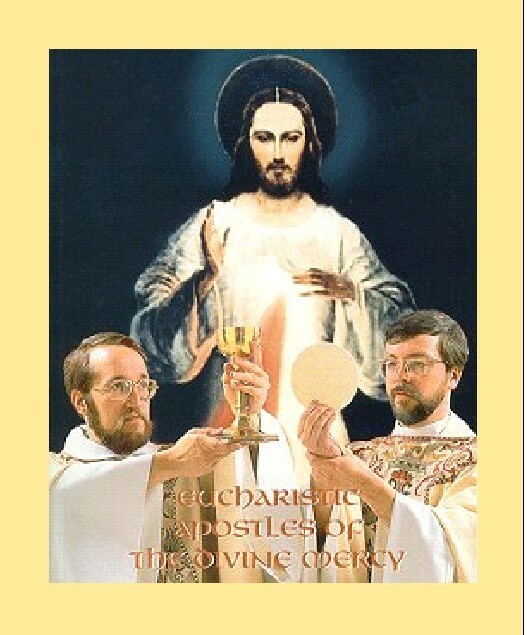 Not too long ago I remember reading something written by a Catholic blogger that he didn't understand all (and I'm paraphrasing here) the hullabaloo concerning Divine Mercy Sunday. That is what I remember reading. "...tell the whole world about My inconceivable mercy. 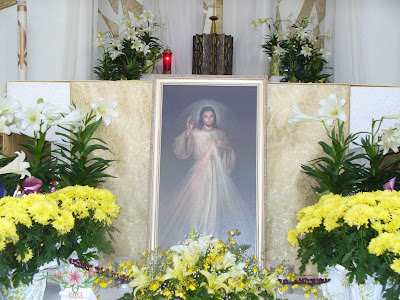 I desire that the Feast of Divine Mercy be a refuge and shelter for all souls, and especially for poor sinners. On that day the very depths of my tender mercy are open. I pour out a whole ocean of graces upon those souls who approach the found of My Mercy. The soul that will go to confession and receive Holy Communion shall obrtain COMPLETE FORGIVENESS OF SINS AND PUNISHMENT. On that day all the divine floodgates through which grace flow are opened. LET NO SOUL FEAR TO DRAW NEAR TO ME, EVEN THOUGH ITS SINS BE AS SCARLET. My Mercy is so great that no mind, be it man or angel, will be able to fathom it through all eternity. Everything that exists has come forth from the very depths of My Most tender mercy. Every soul in its relation to Me will contemplate My love and mercy throughout eternity. The Feast of Mercy emerged from My very depths of tenderness. It is My desire that it be solemnly celebrated on the First Sunday after Easter. Mankind will not have peace until it turns to the Found of My Mercy." Our God, our creator sacrificed His only begotten and most beloved Son so that we could be saved and not suffer the fires of eternal perdition. Miserable sinners that we are, we need to make reparation for even the slightest sins we have committed. On this great Feast of Divine Mercy, He is going to forgive ALL our sins! Not only that but we be not be punished for these offenses! Keep in mind that God's unfathomable Mercy is not only reserved for Catholics but to all of mankind! How can we not put all our trust in such a loving and merciful God? How can we continue to sin and cause Him constant much pain when He loves us so much? Jesus enjoined Sister Faustina the important task of spreading the devotion of Divine Mercy. He warned her that she would be help accountable for souls in this regard. (Unfortunately, I did not note the citation in the diary.) Shouldn't we too take this direction to heart? We must start spreading this devotion to everyone...not just to those we feel comfortable talking about spiritual matters but everyone...Catholics and non-Catholics alike...before it is too late. Father Petrie is a Sacred Hearts father just like Saint Damien and Father Mateo Crawley-Boevey, SSCC. 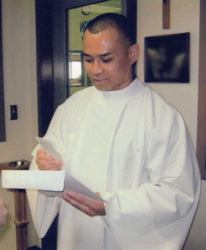 He is also the new pastor of St. Damien Church on Molokai. Father Gordon MacRae of These Stone Walls has a guest blogger this week. Please read the amazing conversion story of Pornchai. I would also ask that you pray for Pornchai's special intentions and pass along his story and prayer request to as many people as you can. 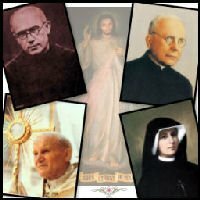 "...I came to understand one thing: I must pray much for each of my confessors, that he might obtain the light of the Holy Spirit, for when I approach the confessional without first praying fervently, the confessor does not understand me very well..."
This is a powerful reminder that we should not only pray daily for our priests but especially to remember to pray for our own dear confessors so we are assured of not only making a good confession but will also be given the spiritual guidance and direction that our own soul needs.